Unique golf school designed by PGA Professionals for all skill level of golfers! Are you ready to be provided with the opporunity of a lifetime? The Professional services of Arizona Golf School by Elite Golf are based in Diamondhead, MS. Whether you are a beginner or an advanced golfer, our team of PGA, LPGA, and PGTCA instructors will provide you with resources, location, and solutions necessary for a game-changing vacation. We will escalate your golf game to the next level, instill an understanding of how to self-correct faults, and teach you how to experience success on the course. The Original Arizona Gof Schools will bring about dramatic changes in your mental and physical approach to the game. Instruction communicated in a simple and easy to follow manner always results in an improved golfer. 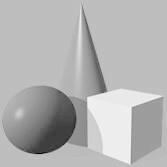 A golfer who will acquire a soundly structured foundation built on lasting fundamentals along with a golf swing with minimal pre-shot thoughts contributing to a dramatic improvement in your game. Booking a golf school vacation should be quick, easy, and affordable. Our 30 year track record of excellence makes choosing a gold school easier than ever. We provide a wide range of programs and packages, personalized golf school, and 247 Travel Butler (www.247travelbutler.com). We are here to help you with your travel requests and needs! Proceed with the planning of your next golf school vacation knowing that Arizona Golf Schools has your back 100 percent of the way. If all your questions are not answered on our website, please feel welcome to call us with any question you may have. 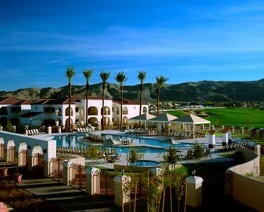 We will assign you a personal golf school and travel concierge who will address any of your needs. If you would like to check on discounted travel rates for flights, hotels, cars, cruises, or any other travel activity, please click here. To speak with an experienced PGA staff member, simply contact us 24/7 at 833 742 7767 Ext 1 or e-mail us at elitegolfinstructiongroup@gmail.com at your earliest convenience. 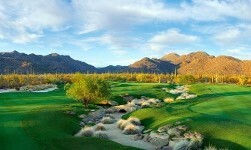 Nestled at the base of South Mountain, the resort is Phoenix's newest golf resort in more than a decade. This all-suite resort features an 18-hole championship golf course (which hosted the 2000 LPGA Standard Register PING Golf Tournament) and an array of recreational activities. The resort's proximity to downtown Phoenix, world-class shopping in Scottsdale, and some of the country's top golf courses make it a perfect retreat destination. 2014 "PGTCA Golf Teacher of The Year"
A 1-Day Arizona Golf Schools session is perfect for beginning golfers or the golfer who is looking to refine certain aspects of their golf game. 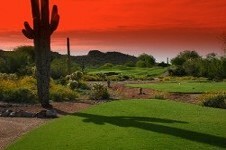 2-Day Arizona Golf Schools session will cover all aspects of the full swing and our "Performance Zone" program. Designed for all level of golfers. A 3-Day Arizona Golf Schools session is designed for the all levels of golfers. V1 Pro is the #1 video swing analysis system in golf. From local golf pros to top PGA instructors, thousands of golfers swings are analyzed and improved each year using V1 Pro. Through their partnership with the PGA of America, V1 Pro has become the most preferred swing analysis system of Americas Top 100 Golf Instructors as well as the world’s best tour players, golf courses, and academies. When you attend an Arizona Golf School your swing will be videotaped and computer analyzed by your instructor, additionally you will have online access to your video at our Video Academy. You’ll receive a video locker with all your golf school videos. You can view this video online anytime by logging in to your Arizona Golf Schools Video Locker.